← First practise session next Thursday (Feb. 12)! Practise session tomorrow night at Long & McQuade! 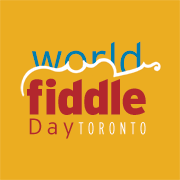 Thursday Feb. 12 from 6:45-8:45 Anne Lederman will lead our first session of World Fiddle Day tunes. We’ll be gathering at Long & McQuade’s “clinic space”, 935 Bloor St. West, just a few steps west of their main store. Check our Calendar page for the list of tunes we’ll work on, and the Tunes page to download jpegs of the sheet music. There is NO PARKING at the Long & McQuade store, but street parking is possible and the subway (Ossington Station) is just a few minutes walk east of the store.